You are invited to submit proposals for the 2019 OPAL Annual Conference! OPAL is looking for presentations that balance theory and practice and are presented in an engaging manner. To those who have not presented before, this is the perfect opportunity to spread your wings and experience presenting in a comfortable, almost familial, setting. For more details and to submit your proposal, please visit https://opal-libraries.org/OPAL2019/proposals. Registration for the conference opens in May. 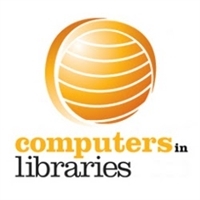 Computers in Libraries - SWON discount code available! SWON has a coupon code for our members! E-mail info@swonlibraries.org to receive the code.